Police are appealing for witnesses after a man was stabbed on his way home from celebrating New Year’s Eve in Selly Oak. 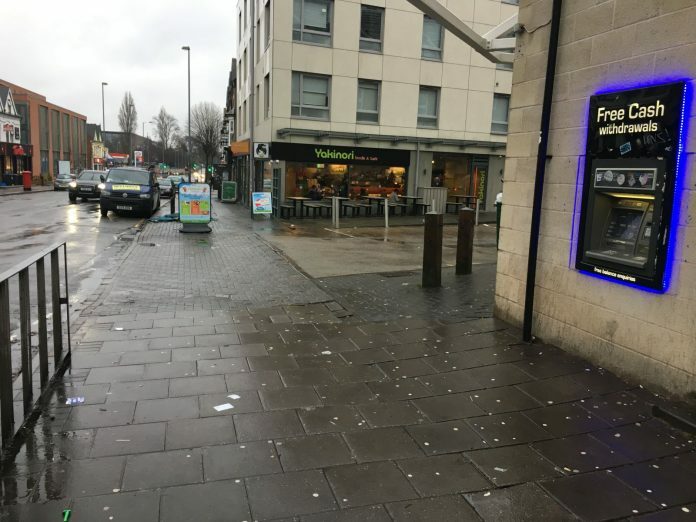 The 27-year old victim stepped out of a taxi in Bristol Road at around 3.30am on January 1 to use a cash machine outside Seoul Plaza (pictured above) when he was attacked. He was taken to hospital by the taxi driver and underwent emergency surgery; he remains in hospital in a stable condition but is expected to make a full recovery. An 18-year-old man from the local area has been charged with grievous bodily harm and possession of a knife and has been remanded in prison ahead of a court appearance on 3 February. But detectives still want to hear from witnesses and are appealing for anyone who saw what happened, or were in the area at the time, to get in touch.